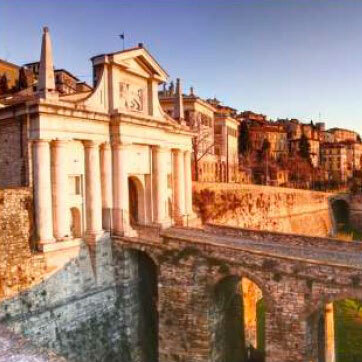 Bergamo-Orio al Serio Airport or International “il Caravaggio” Airport is located in the district of Orio al Serio, 4 km from the city centre of Bergamo and 40 km from Milan. Advertised by some carriers as Milan-Bergamo or Milan-Orio al Serio, together with Milan-Malpensa and Milan-Linate, it forms the Milanese airport system with a transit of approx. 36 million passengers a year.The airport focuses on low-cost flights and is the Italian leader in terms of passengers on “low cost” flights. The following airlines use Orio Al Serio International Airport for scheduled and charter flights.